As a parent grows older, their health might sadly decline, and they might be unable to effectively care for themselves. If you believe your mom or dad can no longer take care of themselves, you must find the best ways to support them during their time of need. It can be heartbreaking to watch your parent’s lose their independence, but here is how you can effectively care for an aging parent. If your parent is living with an illness or disability, you must thoroughly research their condition to help you make an informed decision regarding their care. The more you understand, the better the decisions you will be able to make for your mom or dad. In addition to performing your own research, you should also include other relatives in the education process, as they may need to provide your parents with care at some point, too. A health diagnosis might be sudden and shocking to a parent, and they might find comfort in like-minded people who are living with the same condition. It could be helpful to find the best support groups, so your mom or dad can learn how to improve their quality of life, and they can understand the health condition they are living with better. If your aging parent does not require full-time care, you should utilize the many community resources available that can support independent living. For example, a meal delivery program can prevent a parent from turning on the oven and cooking in the kitchen. Transportation and shopping services can also help them to move from A to B with ease, or you could turn to personal care services to remind your mom or dad to take their medication. Many of these services might also be available from the government for little or zero cost to you or your parent. It goes without saying that you’ll want to provide your parent with the best level of care to support their health and wellbeing. Research the various care options to ensure you can provide the support they need to enjoy a healthy and happy life, which could range from in-home care options to an assisted living community. 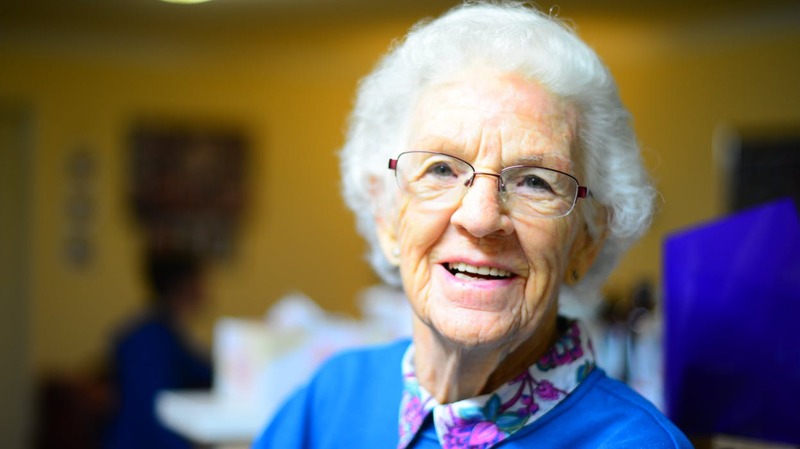 Caring for your loved one alone can be both physically and emotionally taxing, as you may need to provide your mom or dad with around the clock care, so you must be confident you are up to the challenge. Accepting support when caring for a parent isn’t admitting defeat. To provide a parent with the best level of care, it can be beneficial to take a step back from caregiving to relax, destress and care for your own needs. Your siblings, family or friends might be willing to support you more than you know. Rather than saying no, accept their help to continually provide your mom or dad with the highest standard of care. Allowing others to help will prevent you from burning out or experiencing social isolation. As well as accepting help taking over caregiving duties for a short time, you also shouldn’t be afraid to ask your loved ones for help when needed. For example, you could ask a relative to help with grocery shopping, meal preparation, housework, or transportation to medical appointments. Does your sibling live in another city or country? They can still help with caregiving duties. For example, regular phone calls could make a parent’s day, or they could contribute towards paying medical bills or researching healthcare or financial options on your parent’s behalf. It can, therefore, reduce some of the burdens on your shoulders. If you are struggling to care for a loved one alone or believe your parent would receive a higher standard of care in a healthcare facility, your best option might be to move your parent to a nursing home. Make an informed choice by visiting as many nursing homes as possible to ensure you are making the best decision for your loved one. What’s more, you should read reviews online to learn more about its reputation. While no-one likes to think of their loved one being physically, emotionally, or financially abused in a nursing home, it is a sad reality for many residents across the world. It is important to do your research to spot the signs of elder abuse, such as physical marks, a fear of a caregiver, missed checks or credit cards, or withdrawal from the conversation. If you believe your parent or another aging relative is the victim of elder abuse, contact a nursing home abuse lawyer for a confidential consultation. The better you communicate with a medical professional, the more information you can receive regarding your loved one’s health. You, therefore, need to master the art of communication to help your parent live a long and happy life. For instance, you should write down a list of questions or concerns for a doctor prior to an appointment, and you should also keep a list of medications your parents will need, as well their dosage and the reason prescribed. If you do not understand something, always ask the medical practitioner for clarification, and take notes about what he or she is telling you regarding your parent’s health. Don’t forget to request for their doctor’s contact details and the preferred communication method. If your loved one’s health is in decline, you must discuss with them about making various legal changes. For instance, you might need to discuss power of attorney (both financial and medical), wills, trusts and guardianship, health care proxy forms, and a do not resuscitate order. It is also essential to review their insurance policies, deed to the home, and birth certificate to ensure each has been filed properly, and each document should be stored in a safe location.